We have recently acquired the parts inventory of a former Ilco Exacta dealer. 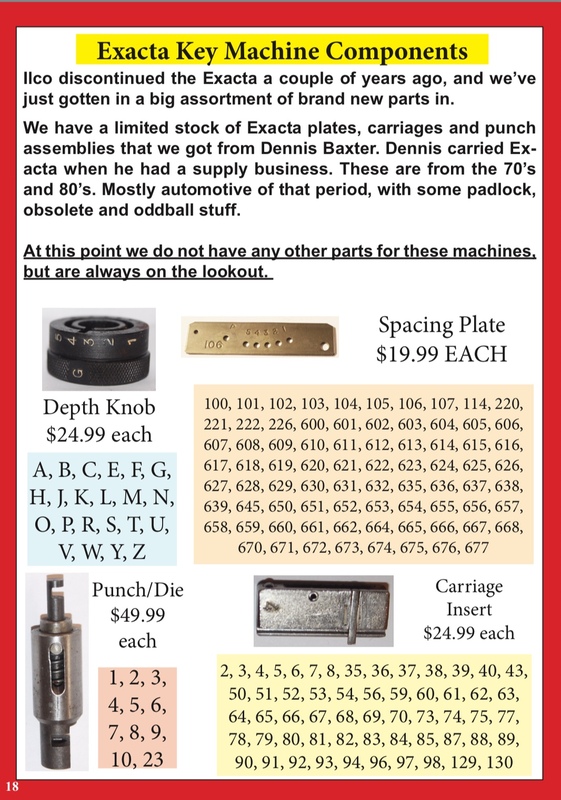 We have many new punches, spacing plates, depth knobs and other parts for the Exacta MK1 machine. Call us at 602-795-8247 for any of these parts, or contact us by email. Prices and stock current as of November, 2018.